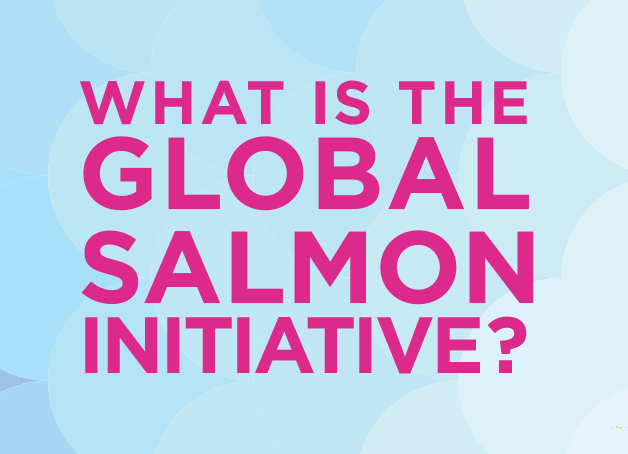 The Global Salmon Initiative (GSI) is a leadership initiative established by leading farmed salmon CEOs from around the world who share a vision of providing a healthy and sustainable source of protein to feed a growing population, while minimizing their environmental footprint, and continuing to improve their social contribution. In 2012, a small group of CEOs from salmon farming companies from Norway, Chile and Scotland attended a talk about improving environmental reputation. Inspired by stories from other sectors, these CEOs decided to continue the discussions and look at ways they could break down barriers to environmental improvement in the salmon aquaculture sector. Those leaders quickly realized that when one company performs poorly, it harms the reputation of all, and instead of using environmental performance as a means of competition, they would secure greater advantages and economic success by working together to lift the performance of the sector as a whole. The GSI was launched in August 2013. Now with 16 members, with operations covering 8 countries – Australia, Canada, Chile, Faroe Islands, Ireland, New Zealand, Norway, and the United Kingdom the group represents approximately 50% of the global farmed salmon sector. The global population is set to reach over 9 billion by 2050, and a key question in today’s society is how are we going to produce enough food to feed everyone? With a growing global population and an increasing demand for protein, it’s clear that we need to produce more; more importantly, this needs to be done with minimal environmental impact if it is to be sustainable for the future. To see real progress, we recognize that we need to see change on a greater scale: this doesn’t happen company by company, but by working together. As the GSI continues to evolve, we have welcomed the support of a number of stakeholders as well as members of our supply chain. Since the GSI was established, we have accomplished a great deal across our three focus areas, and we are optimistic about our continued progress. However, we remain realistic that there is still a lot to be done, and we must continue to concentrate on where we can drive progress. You can follow our progress by taking a look at our Sustainability Report here, or by reaching out and speaking with us via our Contact Us page.